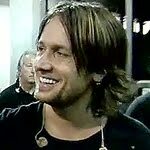 Keith Urban tickets are still available for the October 13th show at the Bradley Center. Urban's Milwaukee stop is a part of his Get Closer tour which features hits from his album of the same name. Though Urban hasn't released an album since last year, he is one of country music's hottest stars (both musically and physically). Urban's tour has received rave reviews and fans have enjoyed seeing his more personal side in his recent shows. Even if you're not a country music fan, you might now Keith Urban as Nicole Kidman's husband. (I wonder if she'll be in town for the show.) We still have some floor seats available for this show, so if you're looking to go, you will be able to get a pretty good look at the country music star himself.